SKU: S-CM. Category: Exterior Finishes. Tags: cedar finish, exterior wood finish, log finish, Sikkens, Sikkens Cetol, Sikkens Cetol Maintenance. Prevent your wood from darkening over time with repeated coats of tinted Sikkens products by applying Sikkens Cetol Maintenance RE , a compatible, clear, satin wood finish. With a single application of Sikkens Cetol Maintenance RE wood finish, the wood will retain the same look and color longer and minimize blistering and cracking due to expansion and contracting of wood. Uses: Siding, garage doors, outdoor furniture, trim, windows, fences, doors, and log homes previously treated with Sikkens ProLuxe Cetol Log & Siding or Sikkens ProLuxe Cetol 2/3. Either product must have a dull appearance but otherwise in good condition and has been maintained according to Sikkens guidelines. Prevents wood from darkening after repeated coats of Sikkens tinted product. Single coat protection that will help retain the same look and color and minimize blistering and cracking due to expansion and contracting of wood. Apply at 400-500 SF per gallon. Actual coverage may vary depending on the type, age and texture of the wood and application method. To maintain the products protective characteristics apply a single maintenance coat when visibly required or sheen appears dull and before wood starts to turn grey. 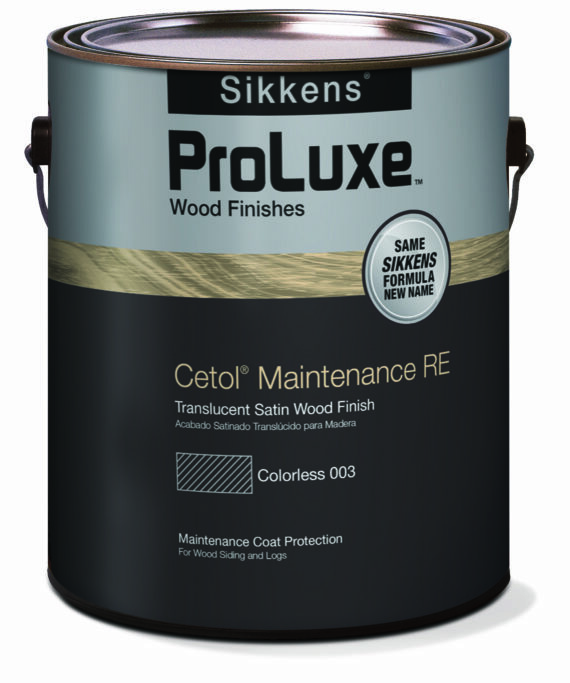 NOTE: Once you apply Sikkens Proluxe Cetol Maintenance RE you cannot switch to a color application for future retreatments without stripping existing finish. Exclusively formulated to be applied over Sikkens ProLuxe Cetol 2/3 Plus and Sikkens ProLuxe Log & Siding that is dull but otherwise in good condition (no flaking, peeling or bubbling). Low temperature, high humidity, thick films or poor ventilation will increase these times. Avoid heavy abrasions immediately following application. Let the solution sit on the wood for 15-20 minutes. Do not let the solution dry on the wood. Rinse solution starting at the bottom of the wall and working towards the top with a pressure washer at no more than 500-800 psi, and standing at least 8-12 inches from the surface to prevent wood damage. Let surface dry for 3 days before application. Three drying days count as non-rainy days. Walls not exposed to full sun will not dry as fast. Fill any spaces between the logs and upward facing cracks/checks in the wood after applying a wood preservative and before applying Cetol Maintenance. 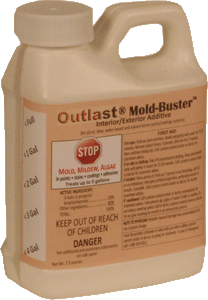 Fill all joints, cracks, and nail holes with a good quality acrylic latex caulk/filler created specifically for use with wood like Energy Seal or Check Mate 2 prior to applying log finish. Cetol Maintenance can be applied only over Sikkens Log & Siding, Cetol 23 Plus when the finish is dull but otherwise in good condition with no bubbling, peeling or flaking. Note: Once you apply Sikkens ProLuxe Cetol Maintenance RE removal of all product is necessary to recoat with Cetol Log and Siding or Cetol 1, 23 Plus. Sikkens Cetol Maintenance RE wood finish should be applied within four weeks of surface cleaning, provided that the surface remains free of dirt, grease, grime, mildew. Buy sufficient product for the whole job and intermix all product together before starting. Brushing is the preferred method of application, using a natural bristle brush. If applied by roller or airless sprayer, back brush immediately to ensure penetration and to avoid an uneven finish. For airless spray, use a .009”-.011” tip at 700 – 800 psi, adjust pressure as needed. Apply one even coat of Cetol Maintenance RE Wood Finish, avoiding heavy application. To avoid lap marks, start at one edge and follow through to the end of each board maintaining a wet edge. Please Note: Tannin containing woods such as redwood, red cedar, mahogany, douglas fir, etc. contain tannic acid which tends to migrate to the surface and discolor the stain, especially noticeable when using white or light colors. The discoloration is not harmful and can usually be removed. 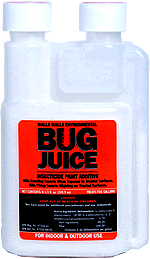 Apply a cleaning solution of four (4) ounces of oxalic acid to one gallon of warm water using a garden sprayer or a heavy nap roller cover. Allow solution to dwell on surface for 20 minutes then thoroughly rise with clean water. Do not allow solution to dry on wood surface. Be the first to review “Sikkens Cetol Maintenance RE” Click here to cancel reply.